My wife and decided that we liked the lighter stain that I worked in with a rag and wiped off quickly. 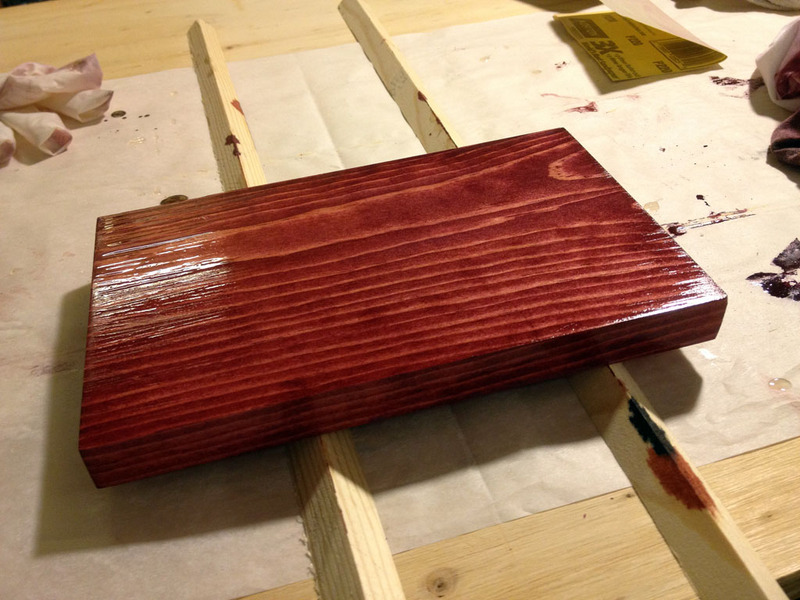 I applied a third coat of poly last night and it is starting to look like a finish. 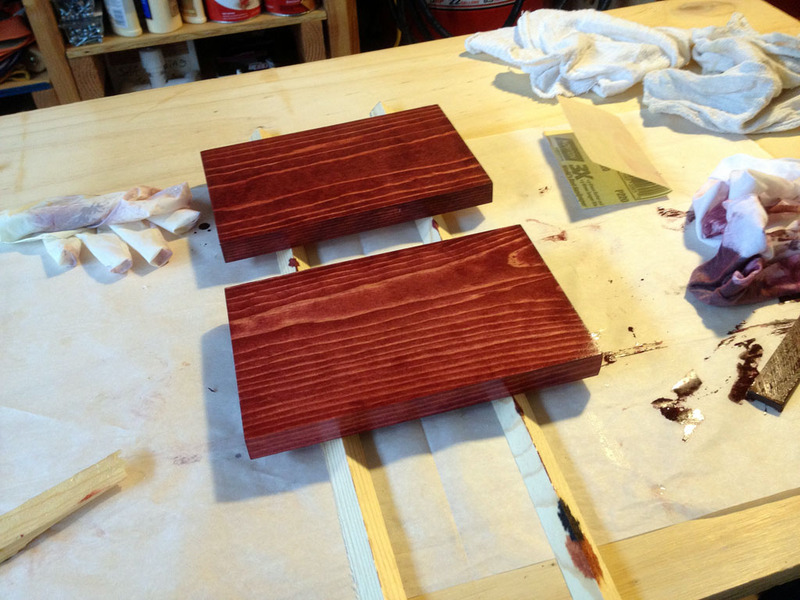 I have a feeling that I am going to have to apply 4 or 5 coats total to get the finish that I want. If everything goes according to plan I will be staining and finishing the hall tree this weekend. I’ve never stained or finished anything this big so it is going to be interesting to see how eveything turns out. I lightly sanded it with 220 and then put on the 3rd coat at 9:30 pm last night. This was at 8:30 am this morning. I only put the 3rd coat on the piece on the bottom.